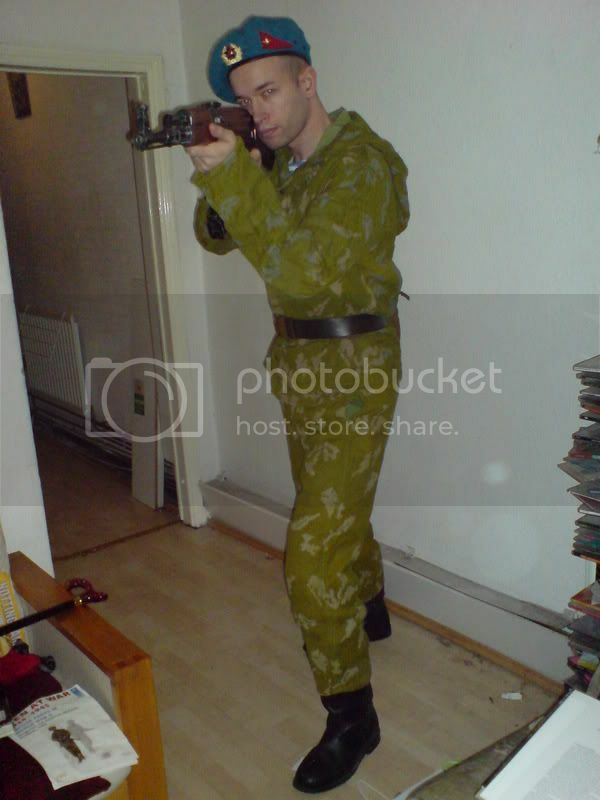 Would you get away with a Leshy oversuit for russian camo? I don't think so unfortunately. They're a post soviet item and are often based upon Les camo- a Russian copy of the Woodland camouflage that the yankie imperialists wear. Better to stick with KZS or KLMK for a 'sniper suit'. Reconsidering playing or buying a Leshy suit? I have more than enough kit to lend out if you fancy giving cold war a go. Reconsidering the Leshy, I would prefer KLMK but I need a russian 58 or 60 and I cant find any in those sizes for love nor money. Postage is a bit steep but the price is good. Some people don't trust vlad but I've never had too much of an issue. Make sure you're clear about what size you want. Postage usually takes about 2 weeks. Here's two old impressions to give folk a guide. 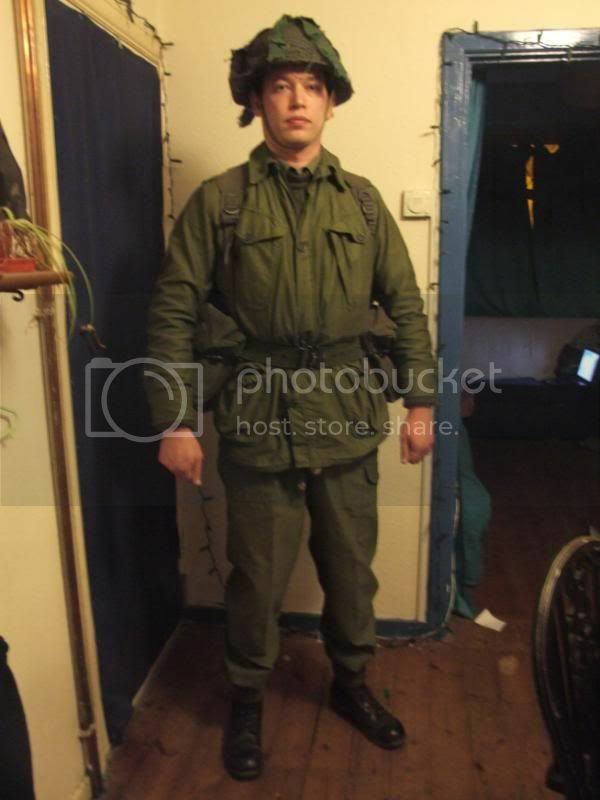 These pics are very typical Soviet VDV Airborne(weapons a bit date by 82) kit. 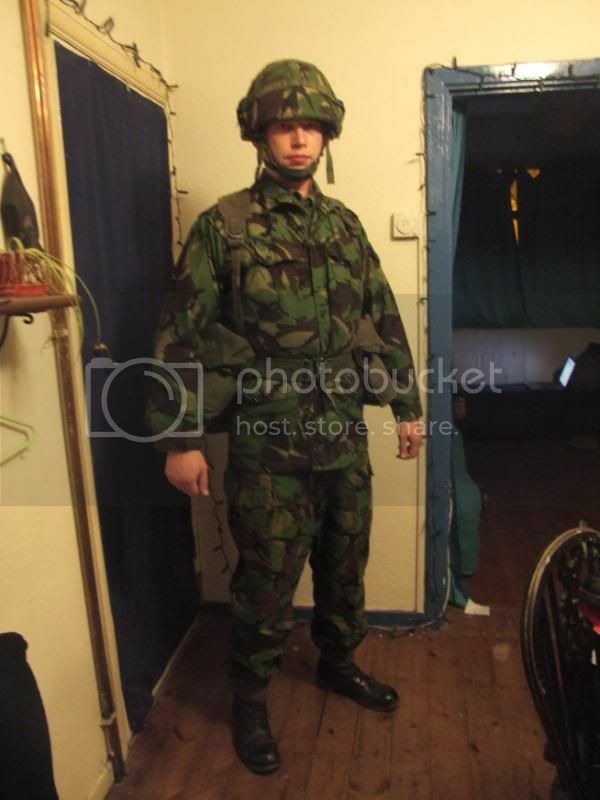 Note also russian army recce units wore the same suits and their special forces frequently disguised themslevs as airborne (there is contrary to popular belief no 'spetsnaz' uniform - they wore what helped them blend in). Then these two are early and late cold war brit loadouts. All loadouts are *very* cheap and probably cost less for the whole thing than your averge plate carrier bobbins or 'assault vest'. Interests:Wine, women and song, and more wine. Iaido, shooting, military history, hill walking, classic cars. You didn't see many "SAS" smocks in the early/mid 80's, gadge. I remember that, in my battalion, they sort of crept in, when the ruperts and the RSM got them! Yep but they were not unheard of. Totally possible given that mine came from a chap who wore that particular smock in the 80s. 68 pattern would be more common I'd agree but you know its always possible to 'aquire' stuff. The windproof smock was more a mid to late 80's thing. Most guys still had the 68 pattern smock until the crapness of the 85 pattern kit came out when most people started "aquiring" windproof smocks. "Acquiring" is one thing, getting it past the RSM is quite another! I had lots of kit which was acquired but, it took some time to be able to get away with actually using it! I recall that the Marine Arctic smock was more common than the SAS smock in the early/mid 80's, as they were easier to get hold of. Funnily enough, the thing that we got the OK to private purchase was a decent bergen, as the 58 large pack was widely acknowledged as being utter s**t and, totally useless. Fluffy Bunny, I remember when 85 pattern was issued, God, we hated it! And clung onto our old stuff like our lives depended on it! 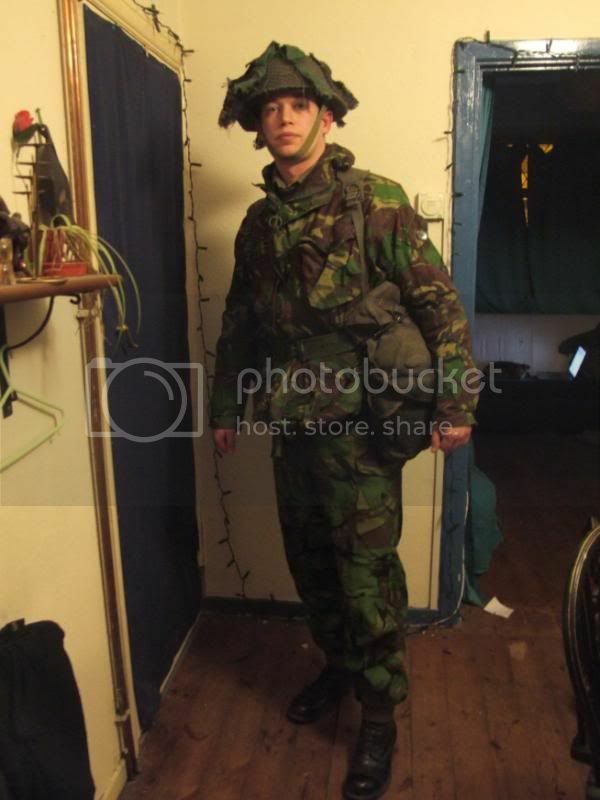 I was lucky in that my OC Major Purslow was ex 'them' and he said 'if its green you can wear it'. Very popular bloke... he also let us privately purchase stuff. I should just point out on Gadge's Soviet kit the 2 piece KLM suit he is wearing is a late cold war item (88/89) so not really suitable for the period we're aiming for. Ideally it should be the one piece KLMK. 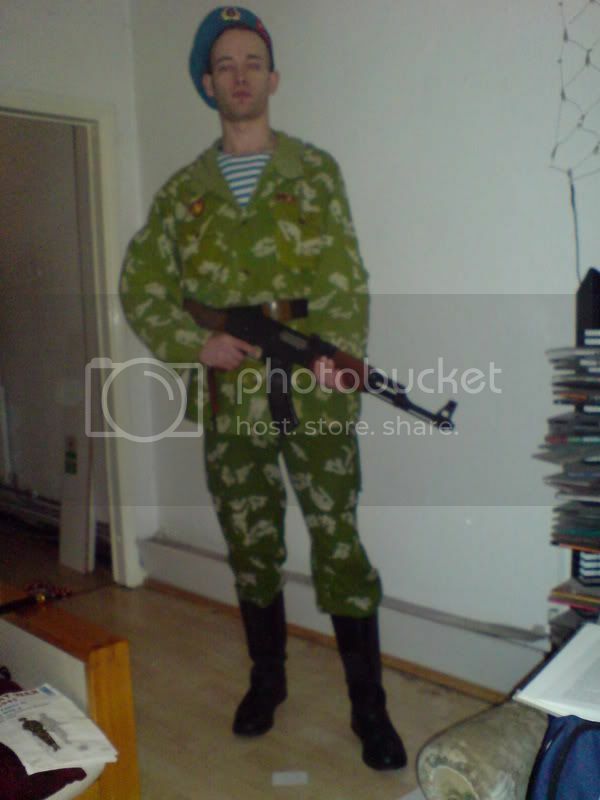 The VDV beret is also something that would not be worn in combat, it was considered bad luck to do so- not least because you have a bright blue target on your head! Sort of kit related, didn't think it warranted a new topic. What's the ruling on personal radios, if there is one? Are they OK to use, or do we go with just the squad one a la WWII? Help rid the Airsoft world of tamiya plugs, they have no right to be on anything more powerful than a Duracell bunny! im deffo going with the sas smock option to be honest. I brought my own one when in service, and am sure many others would of done the same. 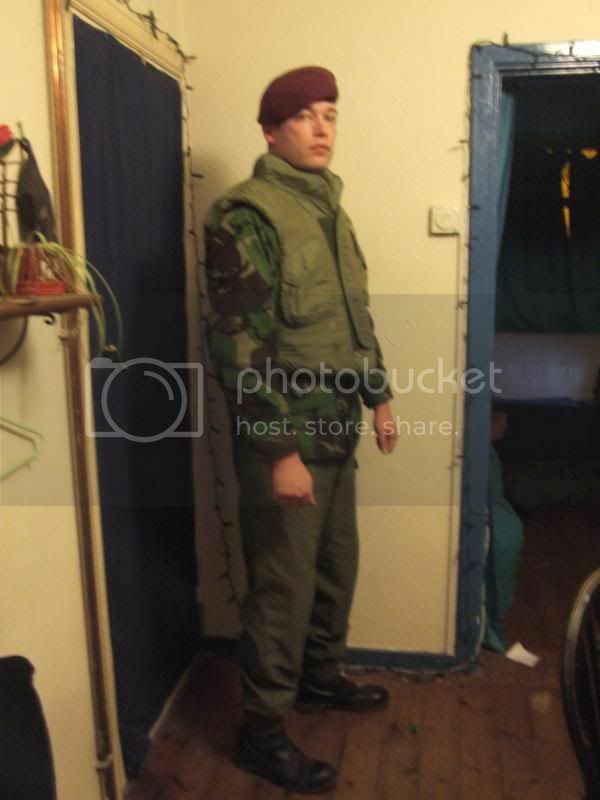 Interests:Bushcraft, martial arts, military history. My SAS smock is one I bought in the 1980's anyway, so no worries for me there. If the weather stays as it is, I might have to dig out my old school tropical trousers too!